Your student loan consolidation interest rate should be lower than the previous rates of your various loans in order to gain a financial benefit from the process. Getting a lower interest rate can be the result of a number of different negotiation tactics. The fastest route to a good interest rate is a good credit score. In the year leading up to your consolidation, ensure you make all debt payments on time. Maintain low, 10% or less balances on your open credit lines. Ideally, the process should start two years out to truly give your credit score the biggest boost. You can pay down a portion of your total debt at the same time you consolidate, which is like a down payment on your consolidation loan. Saving extra cash to do this will lower the total size of the loan you need to take. It will also give the lender more confidence in your ability to pay, which can lead to a lower rate. Securing your consolidation loan with collateral again reduces the risk of the loan for the lender. 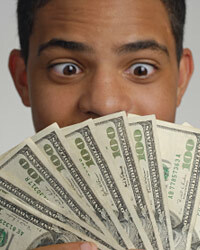 Secured loans are typically less expensive than unsecured loans, but they are riskier to you. Only take this step if you are willing to assume the risk of losing the collateral in the case of a default.